The Kärcher KM 75/40 WP sweeper battery or petrol-driven walk-behind vacuum sweeper with traction drive for effective dust and dirt pick up. 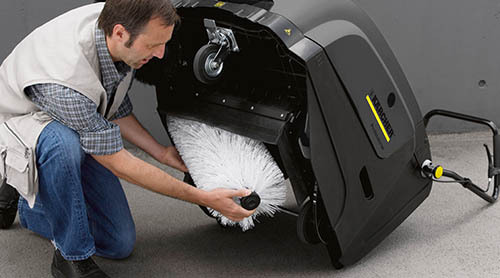 For effective cleaning of medium indoor and outdoor areas up to 3375 m²/h. 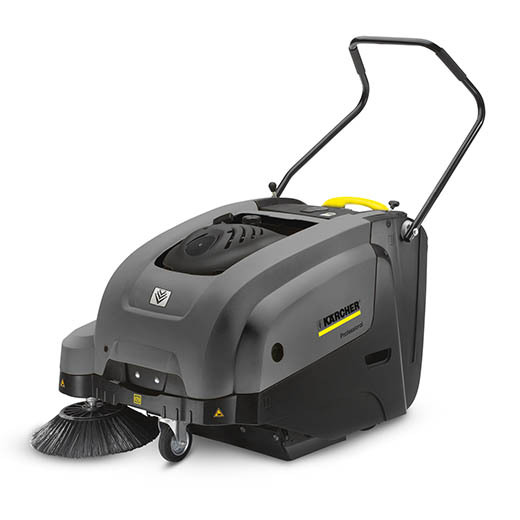 For efficient and near dust-free cleaning of medium to larger areas. Large waste container with trolley grip & wheels for easy emptying. Roller brush & side brushes are easy to change without any tools. 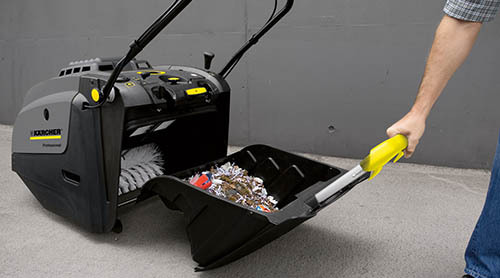 The Kärcher KM 75/40 WP is a walk-behind vacuum sweeper ideal clean up tasks needed to be done quick. 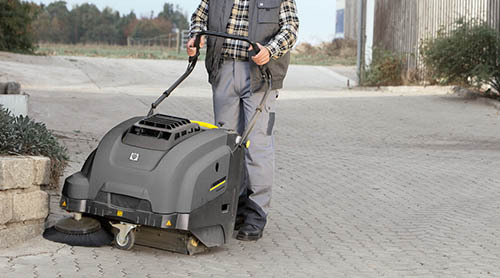 This machine is suitable for cleaning various floor types, including; pavements, concrete, carpets and other hard floors. Powered by Honda four stroke petrol engine. Battery powered model also available.